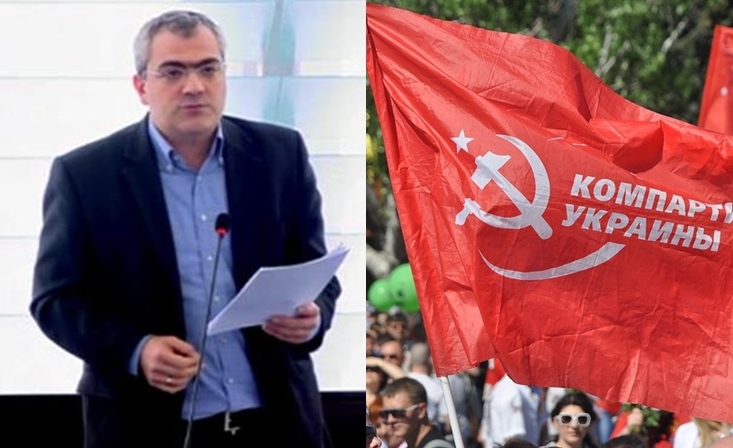 The group of the Communist Party of Greece at the European Parliament has denounced the new escalation of repression and persecutions against the Communist Party of Ukraine by the country's authorities. "The provocations and persecutions against the communists and the CP of Ukraine continue and escalate in Ukraine. This time, the cyber affairs department of the police, in coordination with the Special Police Unit (KORD), raided on Thursday 19 July in the offices of the CC of the CP of Ukraine, confiscating all the hard disks of the computers after a new police investigation ordered by the reactionary Ukrainian government which is supported by the EU." Papadakis continues writing in his question: "According to information published, the First Secretary of the CC, P.Symonenko, members of the CC and all the staff were isolated by the police forces in a room, where they performed strip-search to P.Symonenko, even threatening to arrest him." "All these took place by invoking the unacceptable decommunization law which criminalizes communist ideology and activity and on the basis of which accussations have been forged". "Taken all the above into account- writes Kostas Papadakis- the EU's High Representative is asked"
What is her position regarding the dangerous for the people's freedoms and rights escalation of the repression and persecutions against communist ideology which is being criminalized and the activity of the CP of Ukraine"? (This is an unofficial translation based on the Greek text).